If you don't have it yet, download it from the Apple Store. Go to Settings > Add Account > Add Email Account. Note: First time using Outlook for iOS? Just tap Get Started. 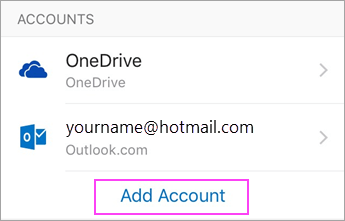 Type your full email address, then tap Add Account. 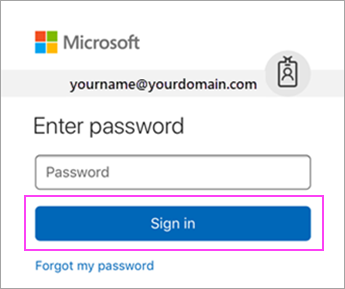 Enter your email account password and tap Sign In. 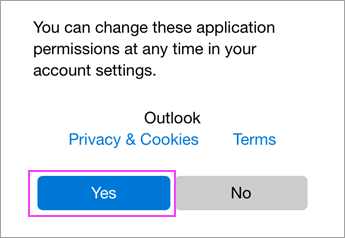 Tap Yes or Allow to give Outlook permission to sync calendar, contacts, etc. You're now ready to use Outlook for iOS!